The smartphone has changed our lives. We shop, share and pay on the go. And we’re increasingly giving to charity on our mobile and tablet – with almost 60 per cent of PayPal donations to this year’s Comic Relief Red Nose Day being made in this way. Today’s launch of Weejot Donate will make it far easier for charities of all sizes to take mobile donations. It allows them to create ‘web apps’ – apps that are just as easy to use as apps made specially for platforms like iOS (iPhone, iPad, iPod Touch) and Android, but run in the web browser on almost any device. This means a charity’s supporters don’t need to download anything. And the good cause can create a personalised app in under an hour, with no technical expertise. They can even let donors to share news of their contributions on social networks. The service has been created by Weejot, Jadu‘s web app publishing service, with PayPal enabling its fast, secure donation payments. 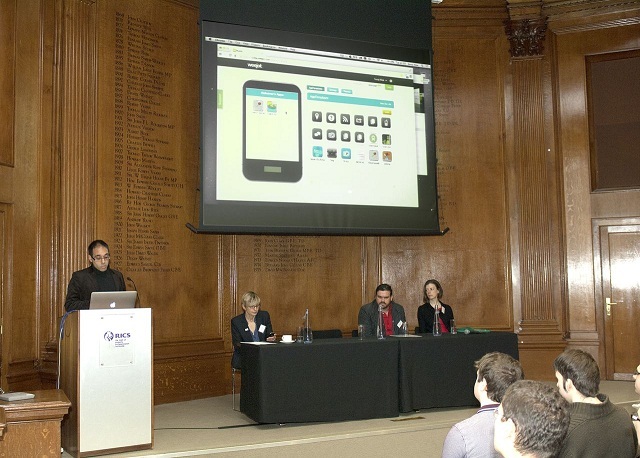 Alzheimer’s Society is the first charity to create apps using Weejot Donate. PS: I was intrigued to learn from Alzheimer’s Society’s Liz Monks that many people with Alzheimer’s use Facebook to keep track of family and friends. As Liz observed, it’s remarkable that a social network created for students is now helping alleviate some of the effects of dementia. Disclosure: I am head of PR for PayPal UK. This entry was posted in Tech and tagged Alzeimer's Society, Jadu, PayPal, Weejot Donate by Rob Skinner. Bookmark the permalink.